a woman, specializing in Caribbean gastronomy, decides to make a pot of ‘sweat rice’ to seduce a man. her neighbor, the chef de cuisine for Goya, unaware of her actions, samples the rice & falls madly in love with the woman. a diabetic hit-man with erectile dysfunction hordes chocolate covered almonds in an abandoned pigeon coop on his roof. a well-hung squirrel pilfers his treasure & buries them under Tyson’s Corner on another roof. a crack-head vandalizes the home of a fashion stylist whose recent job was dressing up extras to look like crack-heads on the set of New Jack City. Writer, vocalist, and sound artist, Latasha N. Nevada Diggs is the author TwERK (Belladonna 2013), as well as the album, Television. 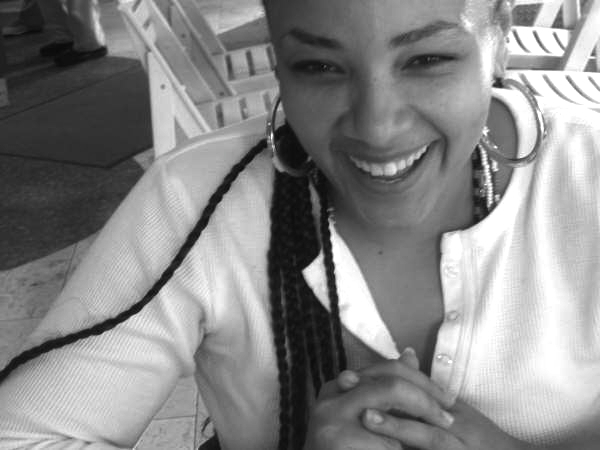 LaTasha has received scholarships, residencies and fellowships from Cave Canem, Harvestworks Digital Media Arts Center, VCCA, The Laundromat Project, New York Foundation for the Arts, the Eben Demarest Trust, and Millay Colony. She lives in Harlem.